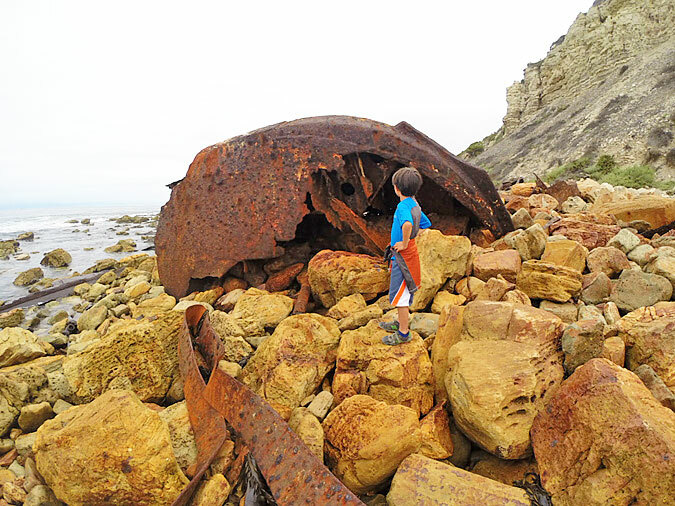 Palos Verdes Cove, SS Dominator Shipwreck Hike | Day Trips L.A. 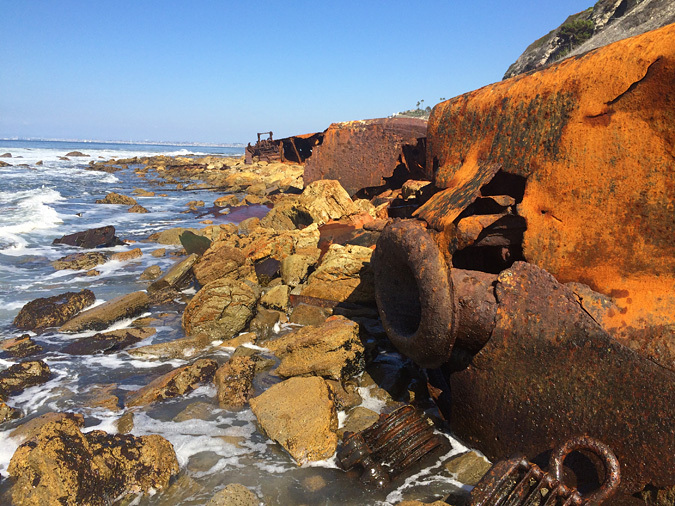 The SS Dominator, a Greek freighter, ran ashore on Palos Verdes Point in 1961 due to a navigational error while lost in fog. 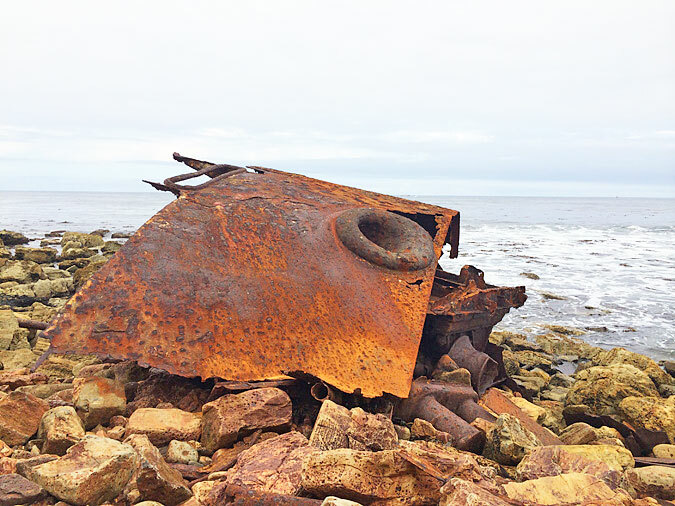 After a brief salvage operation, the ship was left on the beach, where it slowly broke up in the waves. 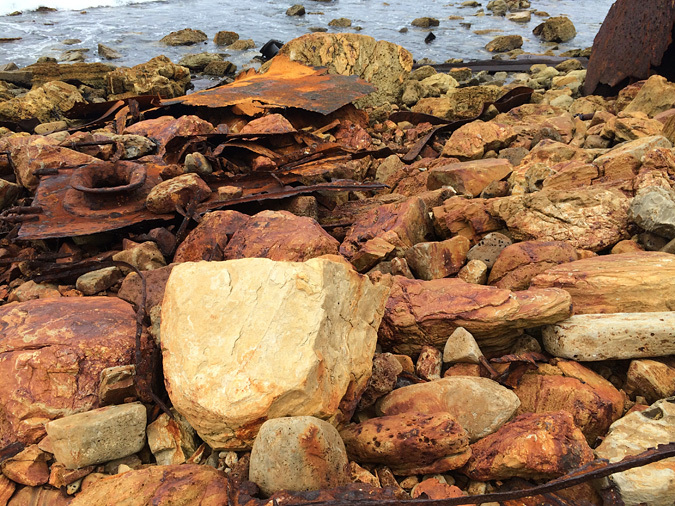 Large pieces of wreckage are still scattered over the rust-stained rocky shore. 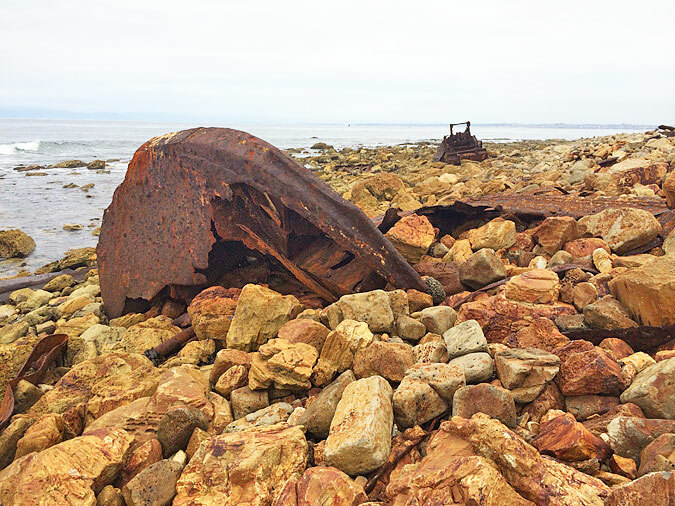 The shipwreck hike is a fun half-day adventure exploring beautiful Palos Verdes Cove, an hour or less drive from just about anywhere in Los Angeles. Dogs: The rocky beach would be tough on any dog. Strongly recommend against it. Fishing: Fairly certain it’s legal here. I tried to fish here and it was not worth the effort. Saw some guys spearfishing. Swimming and surfing: Swim off the little patch of sand beach in the south corner of the cove. 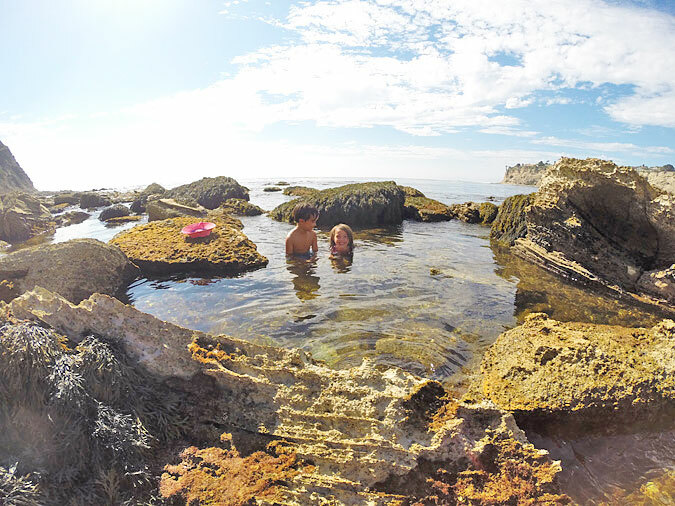 Small surf break in the center of the cove. 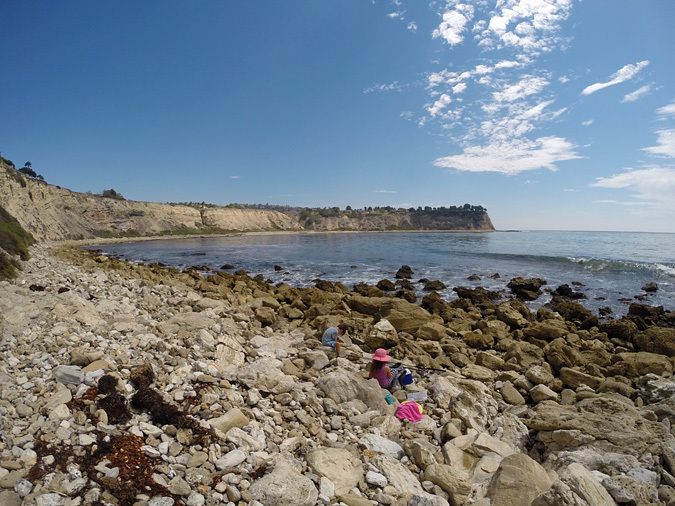 Nice break off Palos Verdes Point if the waves are right. Sneakers or even light hiking boots are highly recommended. Walking along the rocky beach in flip flops or sandals is no fun, and you need shoes with tread on the short hike down the cliff. Bring a day pack, lunch, water, etc. And go at low or medium tide. Check the NOAA tide tables. 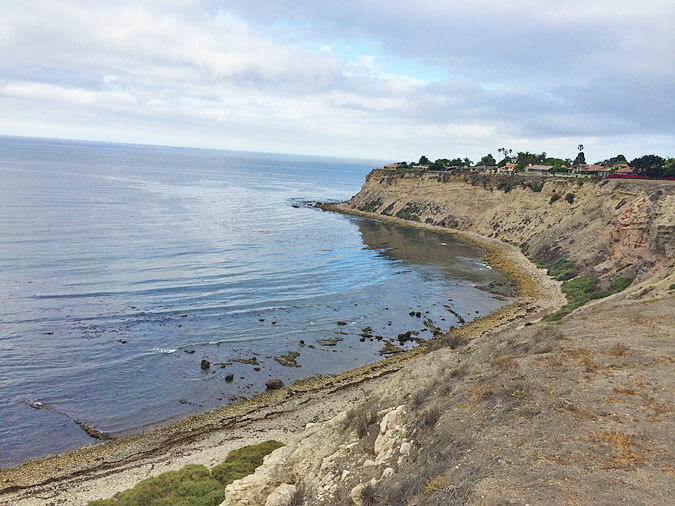 Also known as Lunada Bay, the cove is beautiful and secluded, like many coves in Palos Verdes. 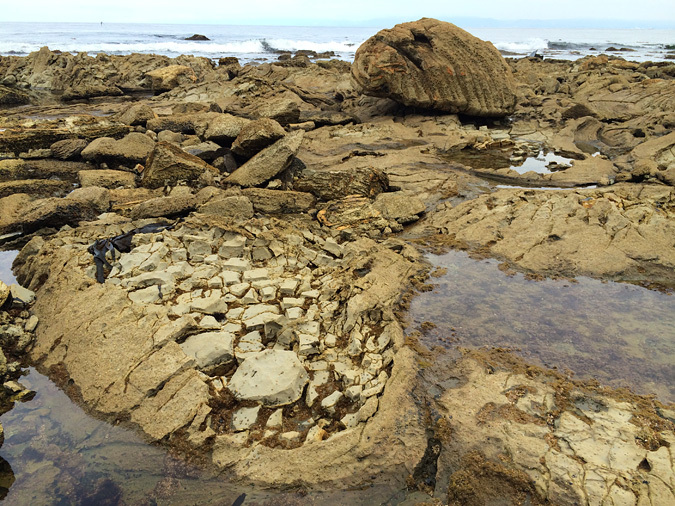 Rocky beach, high cliffs, accessible intertidal zone, offshore kelp forest. Lots of folks walk along the top of the cliff and look, but not many make the effort to hike down there. 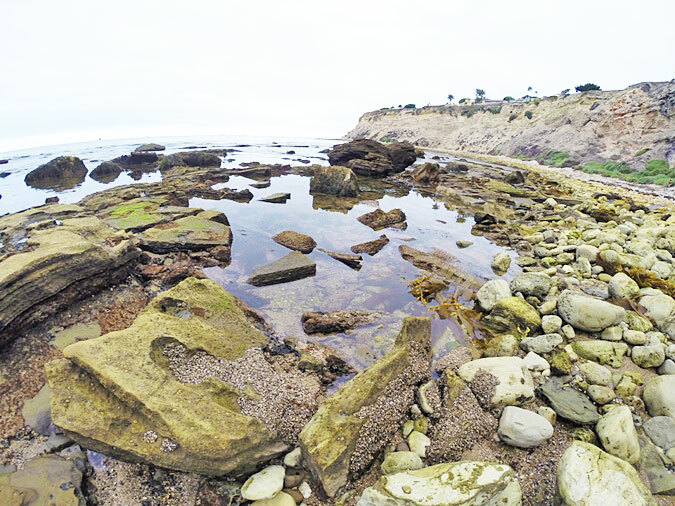 The beach is rocky, except for one spot just to south of where the cliff trail ends. 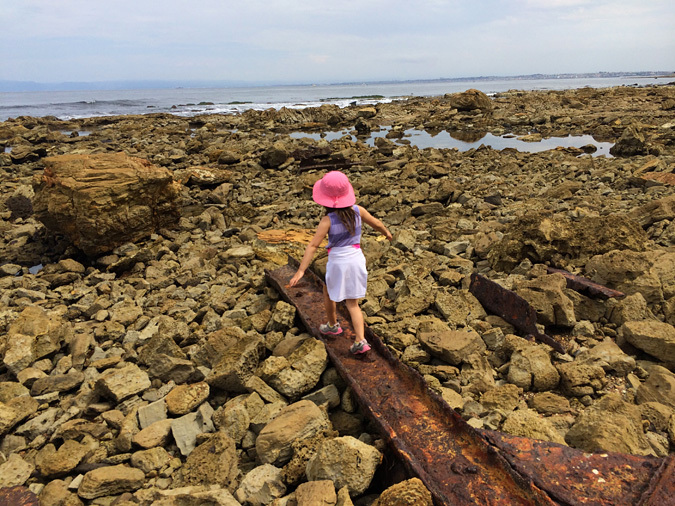 At low tide there are tide pools and exposed rocks for exploring. Just offshore a dense kelp forest extends across the bay. I imagine the spear fishing is good. All three times we’ve been, we’ve seen a couple seal lions sunning on the rocks. You’ll be jealous of the locals who have kayaks tucked into the bushes around the cove. 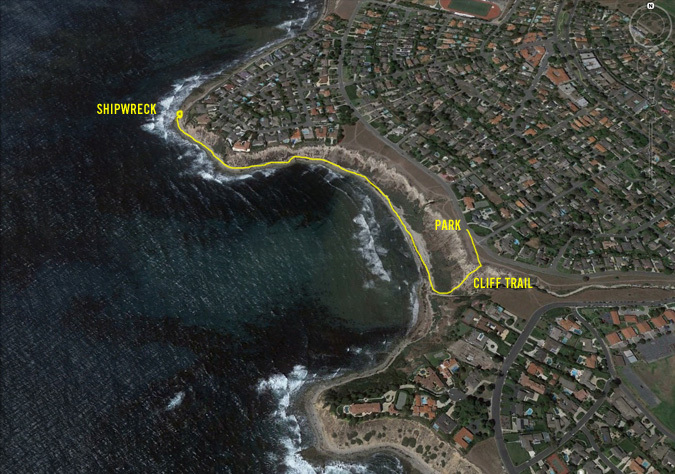 After you park, walk toward the ocean to the edge of the cliff, and then walk south (left) for a minute. You’ll come across a ravine called the Agua Amarga Canyon on some maps. 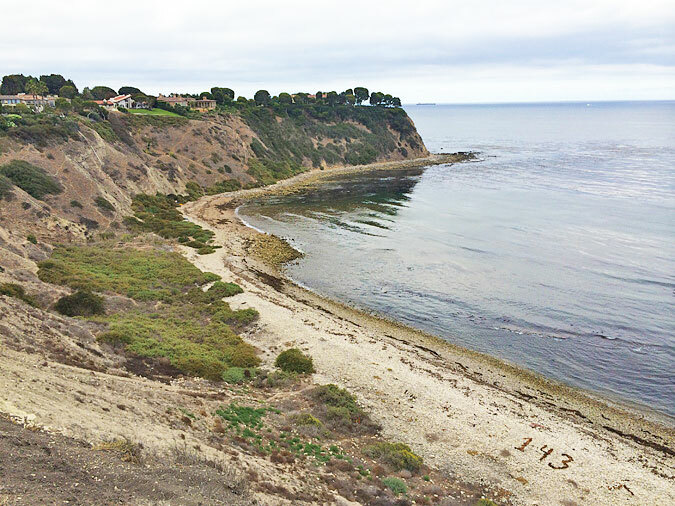 Find the trailhead set back a few yards from the ocean-facing edge of the cliff, and head down. You’ll see a beat up sign just a few yards down the trail (see photo below). 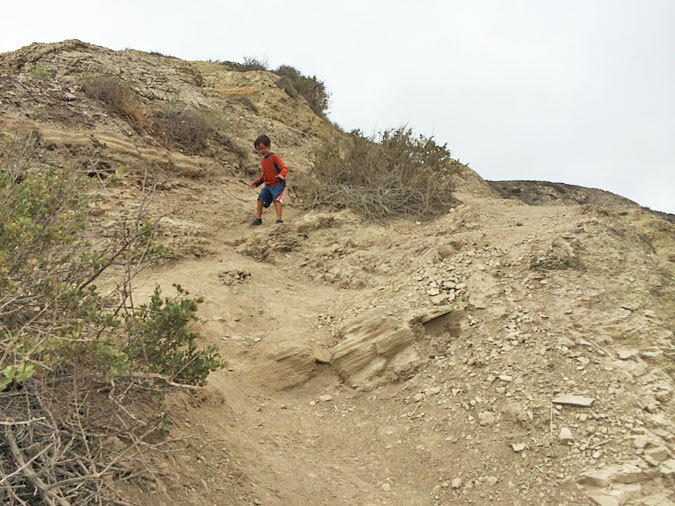 Take your time on this short, steep trail. The ground is covered with talcum powder-like dust and it is slippery. I fell two out of three times going down this thing. When you hit the beach, turn right and walk north. 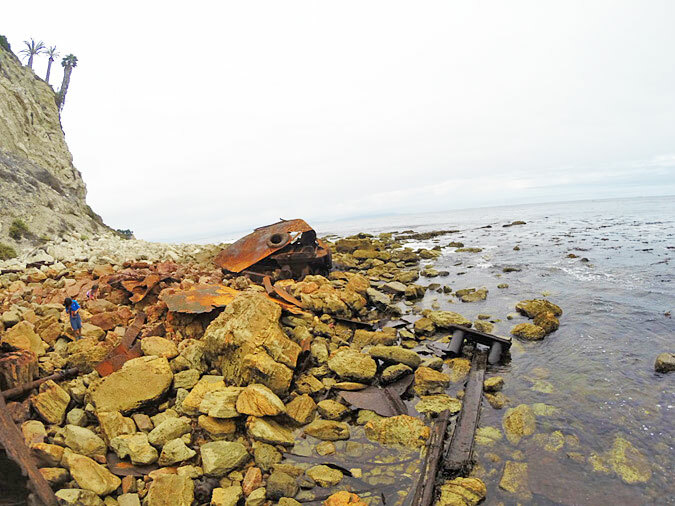 When you get to the north corner of the cove, it’s easier to walk along the path at the base of cliff. 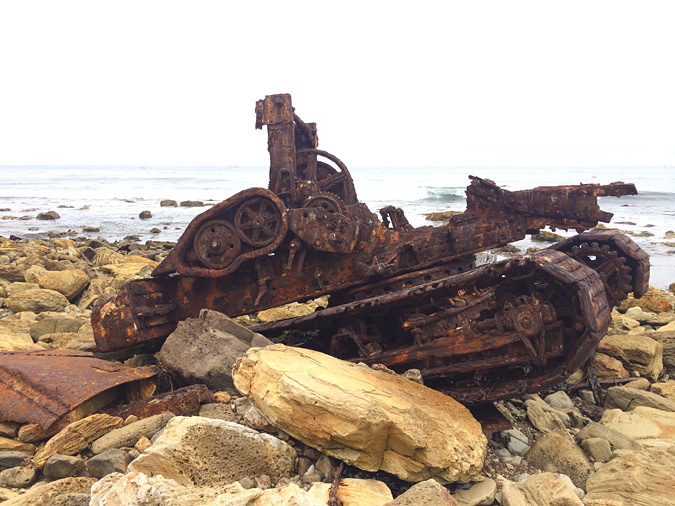 Keep walking around Palos Verdes Point until you come across the wreckage. It’s maybe a half mile. 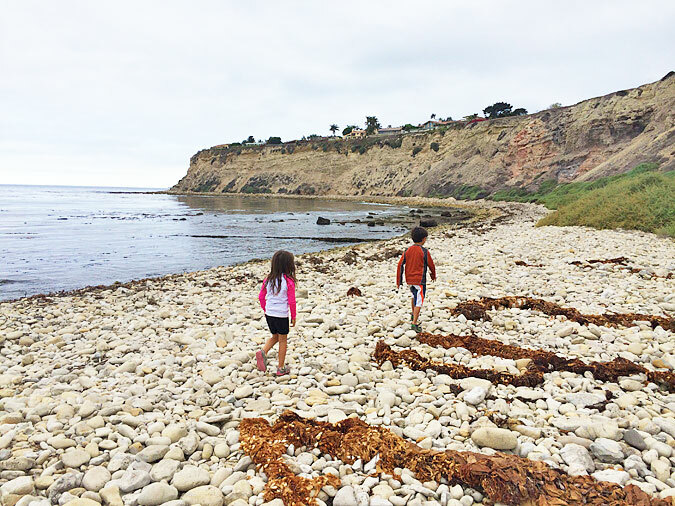 There’s a little stone surf shack along the way that my kids played in for a bit. 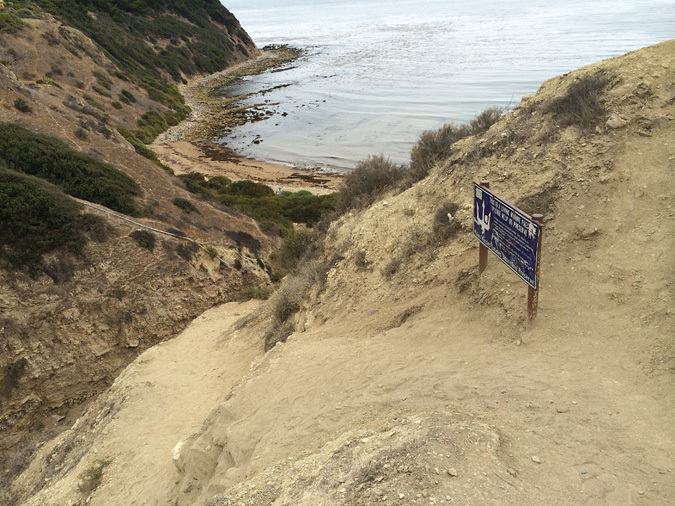 You’ll know you’re on the right path down the Palos Verdes Cove cliffs if you see this sign. 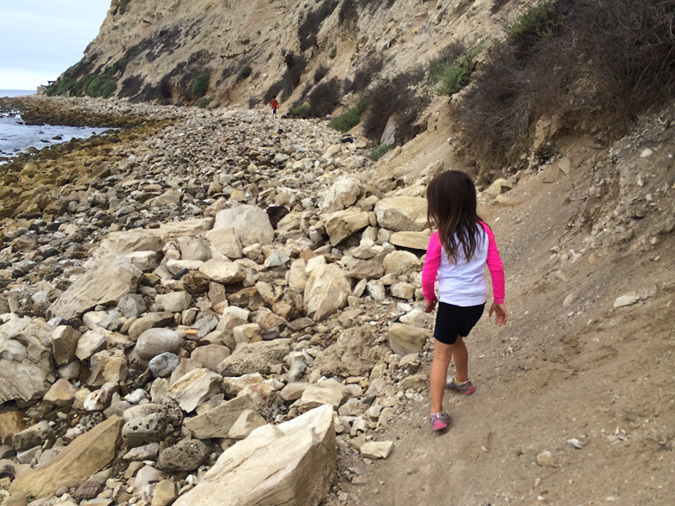 The trail down the Palos Verdes Cove cliff is a bit treacherous. Go slow and wear good shoes. No flip flops! As we were scrambling down the trail, we noticed a little squirrel. 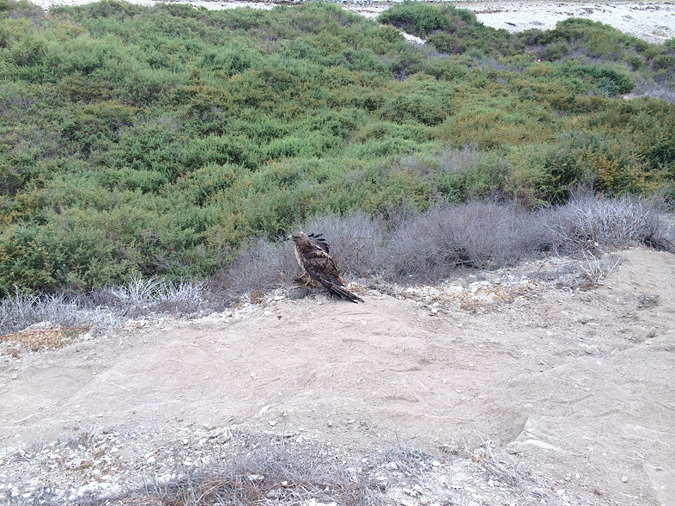 Sadly for the squirrel, this hawk noticed it too. Wear sturdy shoes! 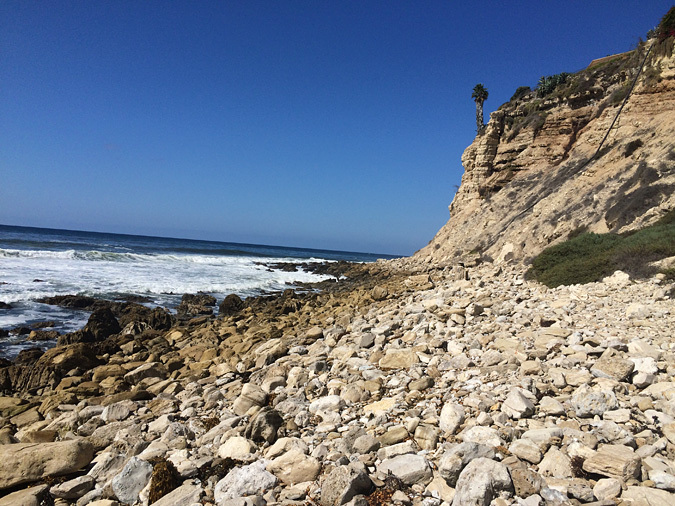 Most of the walk is across a rocky beach. 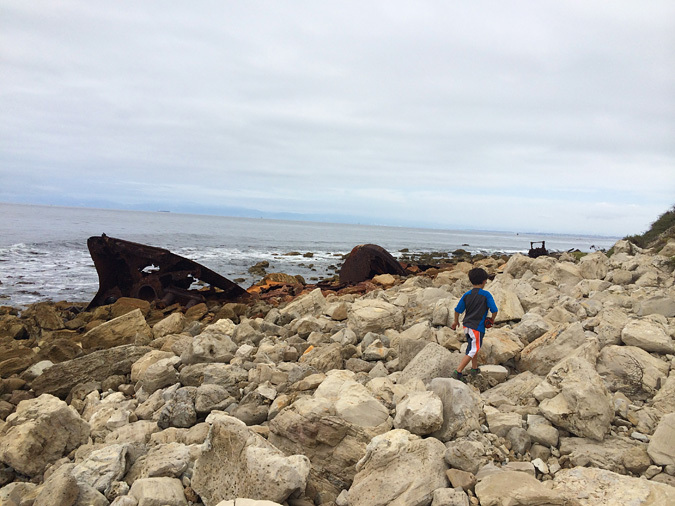 I’ll admit, my kids were a bit disappointed when we first came across the wreck. 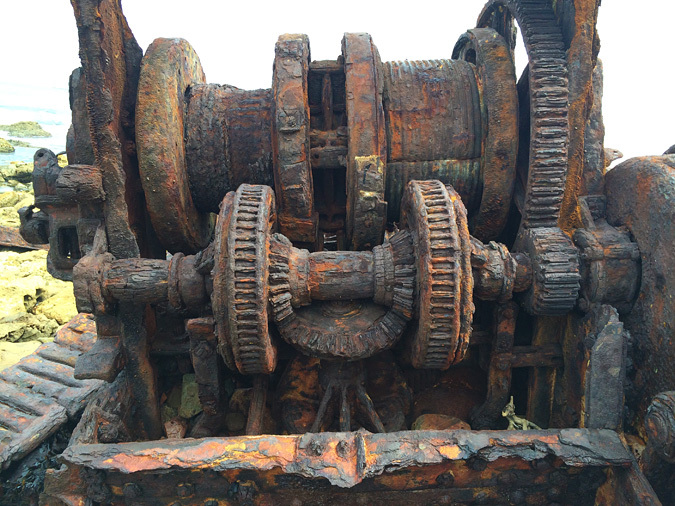 I think they were envisioning a big wooden pirate ship, and the possibility of finding some treasure. So maybe think about doing a better job at setting expectations than I did. After a minute, they were into it and exploring around the chunks of ship. 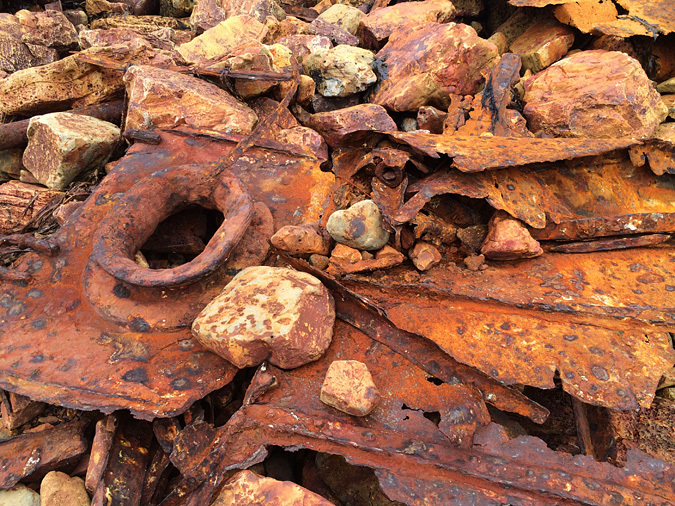 I did keep them close though, as there are many pieces of rusty metal everywhere. Another reason to wear good shoes. 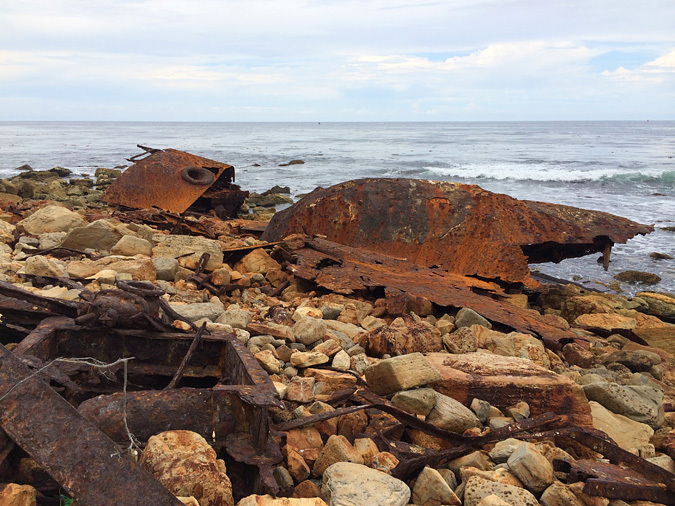 The pieces of the ship extend along the coast to the north for several hundred yards. 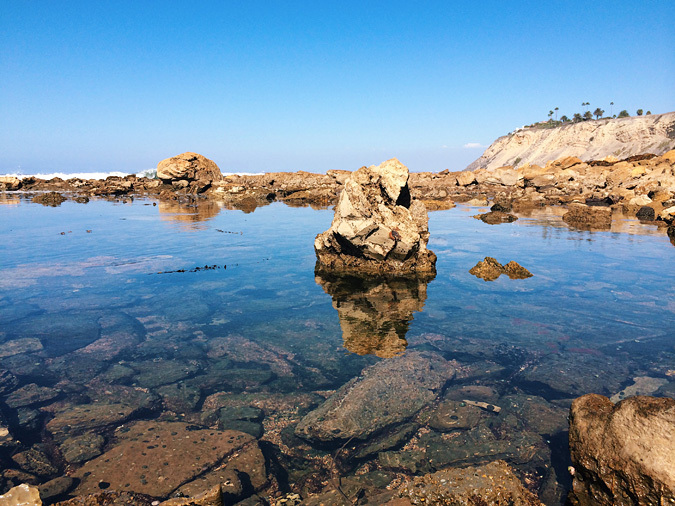 There are great shallow tidepools along the way, and many spots to sit in the rocks and eat some lunch and take photos. 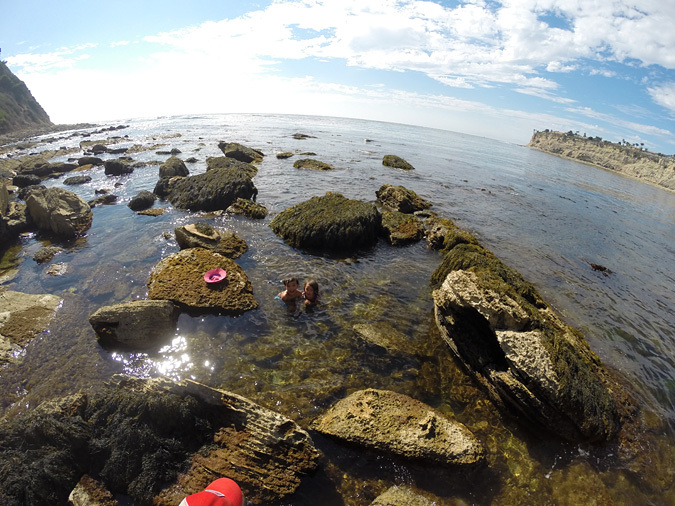 After walking to the wreck and back, we stopped to swim in a big tide pool and explore the rocks in the south corner of the cove. There are lots of crabs and other critters around the beach. I tried in vain again to fish, and sat wishing I could somehow get my kayak down there. 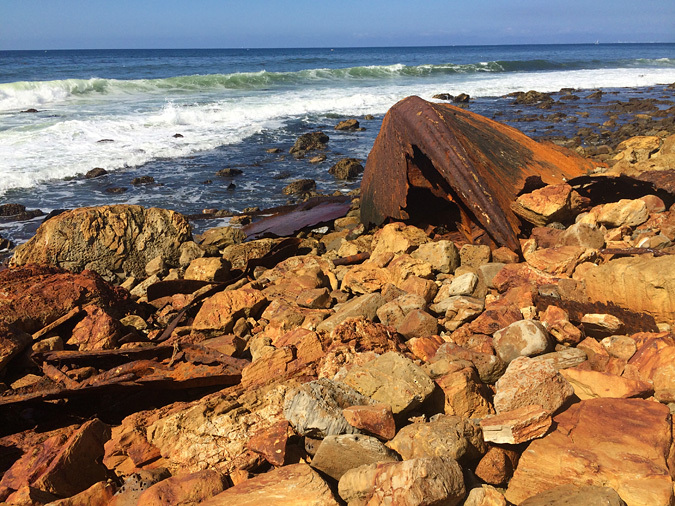 (Be careful where you fish in Palos Verdes as every other cove is a protected zone.) 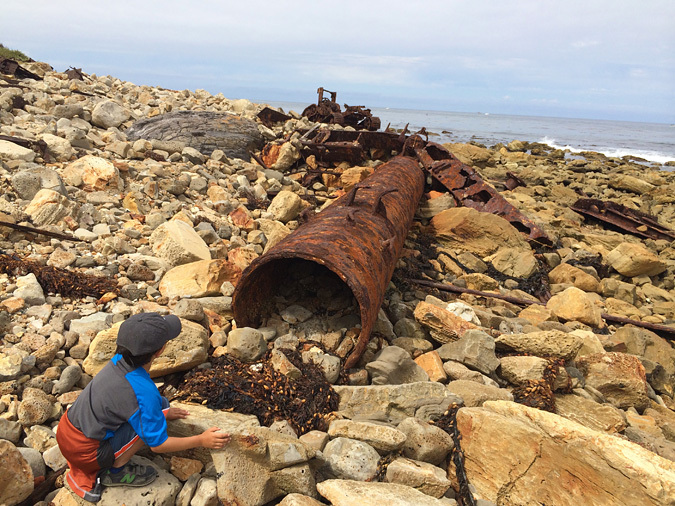 Next time we go, I’ll bring our snorkel gear and we’ll swim offshore in the kelp. Informative, interesting and well-written! I love that you do a great job balancing the facts with your personal experiences.